The Times columnist made his name by ridiculing critics of globalization. Now he admits that “free-trade” cheerleading was mostly garbage. The working-class voters of Michigan put a big dent in Hillary Clinton’s campaign, but they also body-slammed celebrated economists like New York Times columnist Paul Krugman, who made his name by relentlessly ridiculing critics of globalization like myself. Anti-trade anger was the decisive issue that gave Bernie Sanders his victory in the Michigan primary. 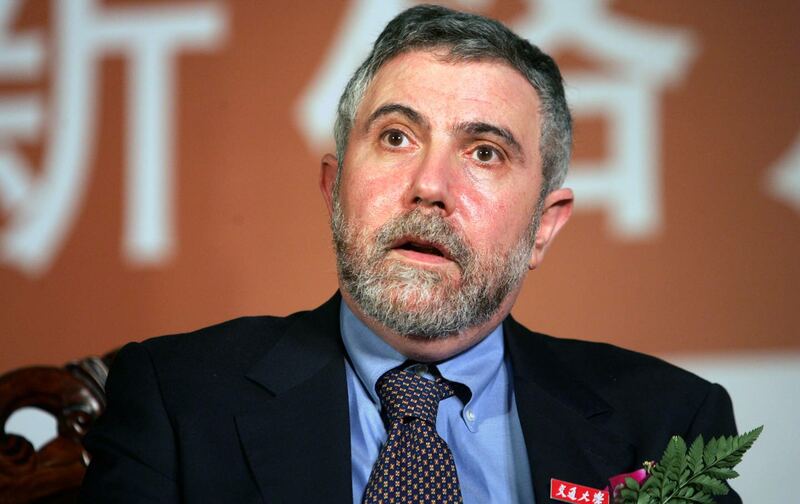 In the aftermath, Krugman decided to raise the white flag of surrender. The Nobel Prize–winning economist now admits in a column and blog that the orthodox case he championed for “free-trade” globalization was mostly garbage. Now he tells us. On a point of personal privilege, I claim the right to hoot derisively. I am among the supposedly misguided reporters who didn’t major in economics but wrote critically about what we saw unfolding in the “manic logic of global capitalism” (the subtitle for my One World, Ready or Not, which Krugman dismissed as “a thoroughly silly book”). The multinationals were colonizing the world while systematically draining America of manufacturing and the core jobs of our broadly shared prosperity. Meanwhile, the globalizing companies brutishly exploited the low-wage peasant workers in their new factories in Asia. The professor stomped hard on my reporting, so naturally I took it personally. But his belated confessional should be understood as a meaningful indicator of economic orthodoxy in collapse. The facts did not fit the professor’s theory. Yet influential voices like Krugman grossly misled the nation’s political debate for a generation. He was the bell cow for a herd of ambitious young academics who mimicked his sharp-tongued style and worshiped at the same shrine of macroeconomics that’s now a shambles. It’s also true that much of the elite defense of globalization is basically dishonest: false claims of inevitability, scare tactics (protectionism causes depressions! ), vastly exaggerated claims for the benefits of trade liberalization and the costs of protection, hand-waving away the large distributional effects that are what standard models actually predict. After that mouthful of a correction, Krugman turns uncharacteristically modest about his own performance as an economic prognosticator. “I hope, by the way, that I haven’t done any of that,” the professor wrote. His students who know better should respond with spitballs. Let me refresh Krugman’s memory. I offer a few examples from the glory decades, when he was leading cheers for globalizing capitalism. He did not see anything especially new or threatening about it, certainly not for the triumphant United States. To Krugman, the emerging system looked more or less like the textbook capitalism he taught. Krugman was skeptical that very poor nations (like, say, China) could increase productivity in advanced goods like computer chips, but if they did, “these emerging economies would see their wage rates in terms of chips rise—end of story,” he wrote. “There would be no impact, positive or negative, on real wages in other, initially higher-wage countries.” Like, say, the United States. Now we can imagine it. Krugman’s mean-spirited put-downs of people who disagree with him suggest we think of him as the Donald Trump of academic economics. The professor might demonstrate a little humility by publishing a correction in The New York Times. Alas, too late for the angry workers in Michigan who voted for Bernie.